How will the Soceroos fare without Cahill? Tim Cahill has been Australia’s most prolific striker scoring 50 times for the senior squad. He leaves big shoes to fill. There’s no point crying over it. What matters now is how to adapt to the change and rebuild around a new generation of players. Luckily there are some good prospects. Starting with the midfield and wings, there seems to be some depth to choose from. Aaron Mooy and Massimo Luongo are still the backbone of the midfield, with Andrew Nabbout and Jackson Irvine in there as well. Then you have up-and-comers Daniel Arzani, who briefly took part in Russia, and Awer Mabil, who seems to be blazing a similar trail of his own. 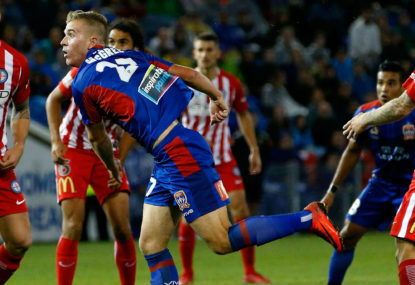 Riley McGree is full of potential, as he showed at Newcastle, and he seems to be off to a good start at Melbourne City this season. Then, finally, we have Martin Boyle, who has come out of left field but made a real impact during Tim Cahill’s send-off match. But the trouble spot remains in front of goal with the strikers. 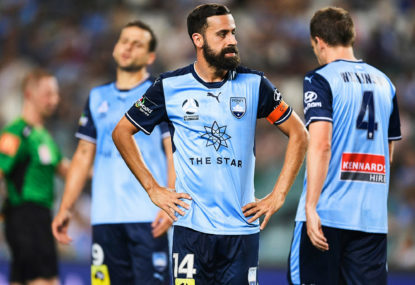 At present it’s Tom Rogic and Tomi Juric who lead the attack up front, but both failed to deliver on many occasions, and there’s little point in persisting with a failed experiment. There needs to be renewal. 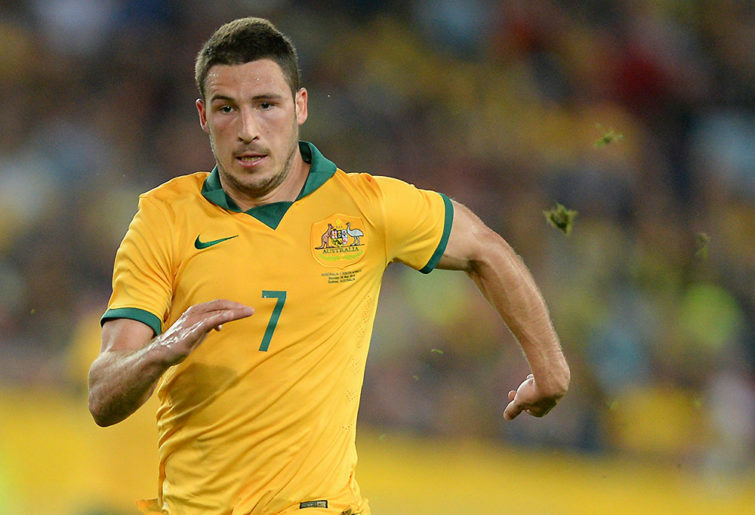 The most likely choices in the immediate term are Adam Taggart and Mathew Leckie. 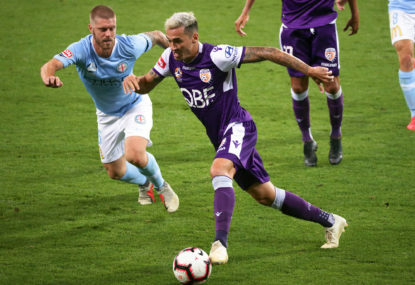 Adam Taggart’s goal-scoring record is impressive, with a golden boot-winning 16 goals from 25 matches at Newcastle in the 2013-14 season and 20 goals from 38 matches at Perth Glory from 2016 to 2018. In the current season at Brisbane Roar he has scored three goals from four matches. The only question is fitness and injury. Mathew Leckie, meanwhile, is not a natural striker, but he can hit the ball with confidence and seems to be in favour with Graham Arnold, so I’ll include him here as a striker. Jamie Maclaren could be a third option as striker, but his runs have been hard to read and his lack of contribution in build-up play might count against him. In the medium term, in time for the next World Cup, there are two leading contenders forming: John Iredale and John Roberts. John Iredale was at Sydney FC under Graham Arnold and was on the brink of making the senior squad but moved to Heerenveen in the Netherlands to join their under-19 team. He has nonetheless been included in the Socceroos senior squad, again under Arnold, but is yet to make an appearance. The other clear contender is 17-year-old wonderkid John Roberts, who is currently at Western Sydney Wanderers, and he has hopes of making the senior squad this season. Roberts was born in Guinea, Africa, where he learnt to play in the street before he came to Australia as a refugee at the age of 10. 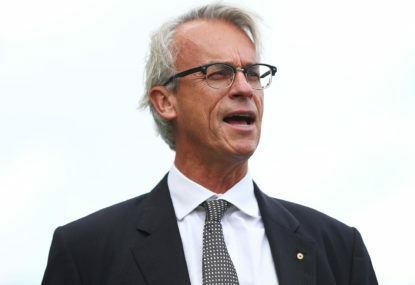 Roberts has impressed at Y-League, Australian Institute of Sport and at national youth level in both under-16 and under-19 teams. He also impressed at Melbourne City Youth alongside Daniel Arzani. Longer term there are also a few other notable prospects on the horizon in Jacob Italiano, Milislav Popovic, Stefan Valentini and Ramy Najjarine. 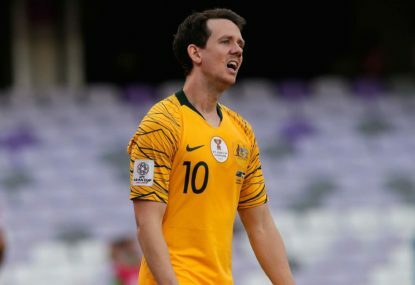 Overall, when you look at the players who could be available at the next World Cup, I think that the Socceroos will be competitive. Tim Cahill’s retirement will still leave a big hole, but hopefully a new generation will be able to step up and fill the breach.